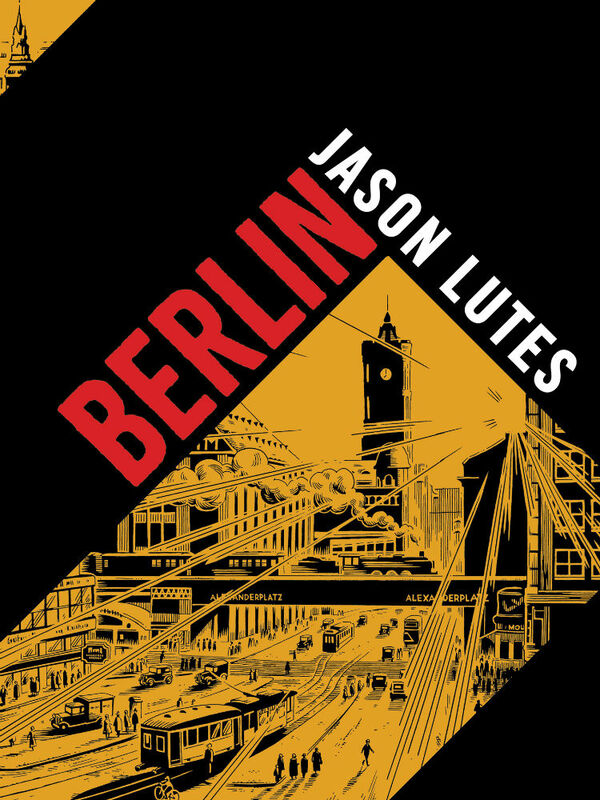 Twenty years in the making, a complete edition of Jason Lutes’ Berlin is finally available to readers and it’s undeniably one of the sequential art highlights of 2018. Comprehensively researched and consistently acclaimed during its 22-part serialised run, it recounts the social and political events that redefined the titular city during the years 1928-1933; a key point in history as it gradually became a fascist stronghold. Told through the diverse stories of the city’s inhabitants this is simply one of the greatest graphic narratives the medium has produced. Whether you’ve been there from the beginning, or are looking to immerse yourself in a comics classic for the first time, this is a collection that defines “essential purchase”. 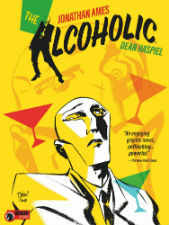 The latest release from Karen Berger’s imprint at Dark Horse is a welcome reissue of The Alcoholic, Jonathan Ames’s incisive and entertaining tale of an author, Jonathan A (who bears a “a coincidental resemblance” to his creator) and the ups and – mostly – downs of his relationship with alcohol (and intoxication more generally). Jonathan A’s misadventures are realised by Dean Haspiel, whose storytelling choices and bold, dynamic linework propel the story with verve and vigour. Colourist Lee Loughridge also adds another dimension to the pages with his deft use of grey tones. Here, as elsewhere in his work, Ames is a skilled raconteur who loves to toy with the reader’s expectations about what in these page might or might not have ‘really’ happened. However, the insights he gives into the nature of addiction, ageing and emotional attachment are as universal as they are powerful. 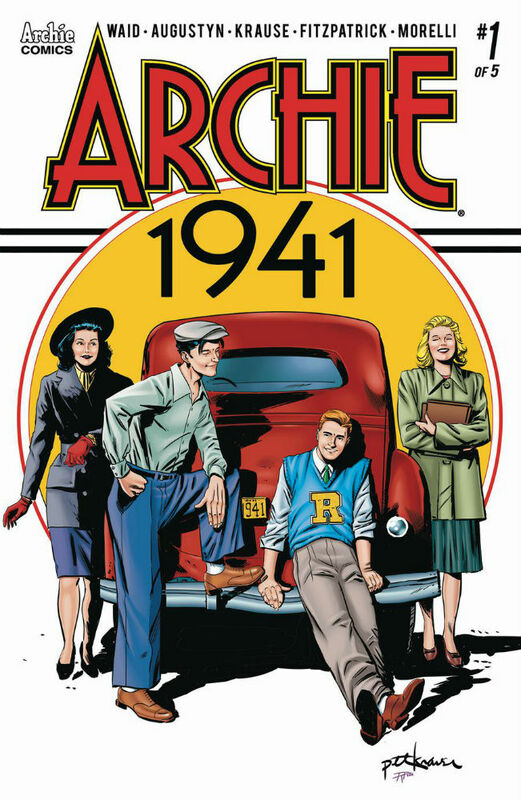 Mark Waid’s recent run as writer of Archie effectively sat directly between the smalltown homeliness and whimsy of the original source material and the darker undertones of the Riverdale TV series. This week he returns to the Archie Universe, so to speak, alongside co-writer Brian Augustyn and artist Peter Krause for another Archie Comics sidestep as we look at a Riverdale gang about to go to war. While some of the Archie re-imaginings of the last few years have felt more than a touch inappropriate (did we really need that bizarre Sharknado crossover?) we’re in safe hands with this reliable creative team. Is Wanderland Park a magical wonderland or a nightmare on Earth? Just ask Bellamy Muñoz, she knows everything about the park, including its history, shortcuts to the best attractions, and all the secret stories behind Old West Town, Space Age Metropolis, and New Princesston. 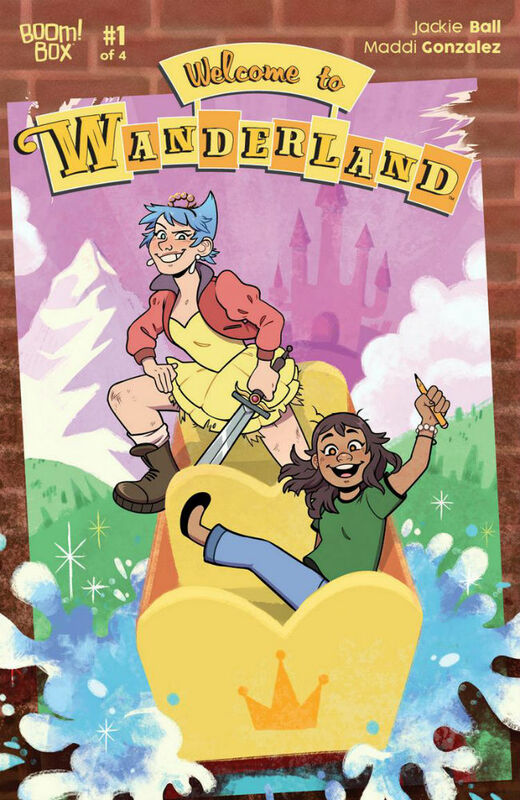 When she’s transported into the real Wanderland, Bellamy is sure she knows everything she needs to survive but soon discovers that everything she thinks she knows is more myth than fact. This land of magic barely resembles the place she knows so well, and its cast of characters are nothing like she’d imagined. From the creative team of Jackie Ball (Goldie Vance) and artist Maddi Gonzalez (Elements) comes a four-issue mini-series published by Boom! Studios that will challenge your powers of perception and presumption. Expecting the unexpected will be the norm with this fun title. From the creative team behind the much lauded Trees comes a new series this week from Image Comics. Set on an off-world colony populated by “generations of lunatics”, it follows the exploits of a professional pathfinder and a murderer who, having broken out of a torture cell, now find themselves on the run in this hostile environment. 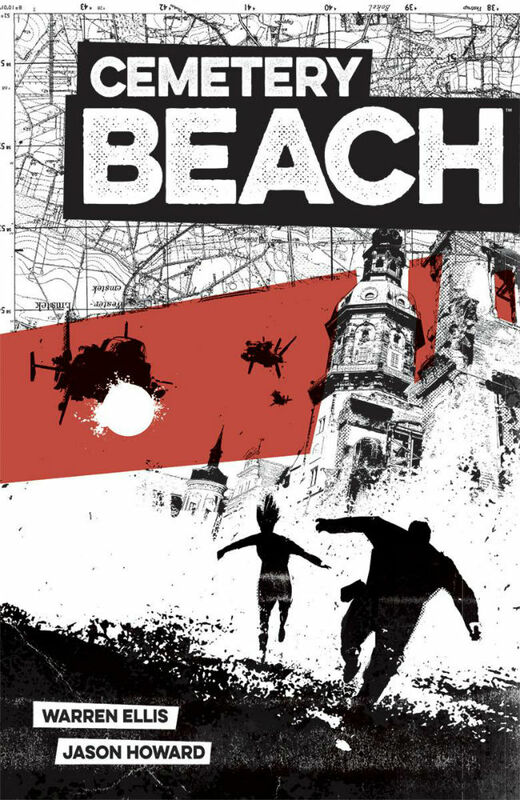 This first issue is an action-packed page-turner of an opener that runs at a breackneck speed. Fans of Warren Ellis and Jason Howard will need little convincing, of course, but it’s been a strong second half of the year for Image and this looks set to be another solid seller for them. An urban legend from the early days of the underground music scene, “Poser” was an outcast who’d seek bloody revenge on those who picked on him. Thirty years later in Redondo Beach, the daughter of an old rocker, Ash, is a musician who’s just trying to enjoy life and music with her friends and bandmates. But the Poser has other ideas! 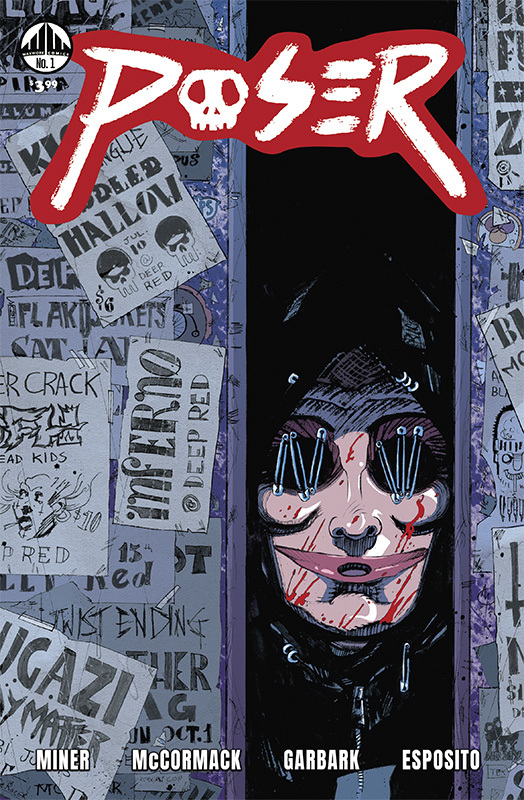 Mixing the classic slasher trope with the punk rock scene, this new horror series feels like a modern take on the underground comics of the eighties. And it even comes with a download code for an original soundtrack with music by Joel Grind. Staff Picks for January 9, 2019 – Gunning for Hits, Wildcat: Turbo Jones, Criminal and More! Staff Picks for January 10, 2018 – Mister Miracle, Satellite Falling, Paradiso, The Limbo Lounge and More!